Maximum Relief for Aching Joints and Sore Muscles is Just a Spray Away. 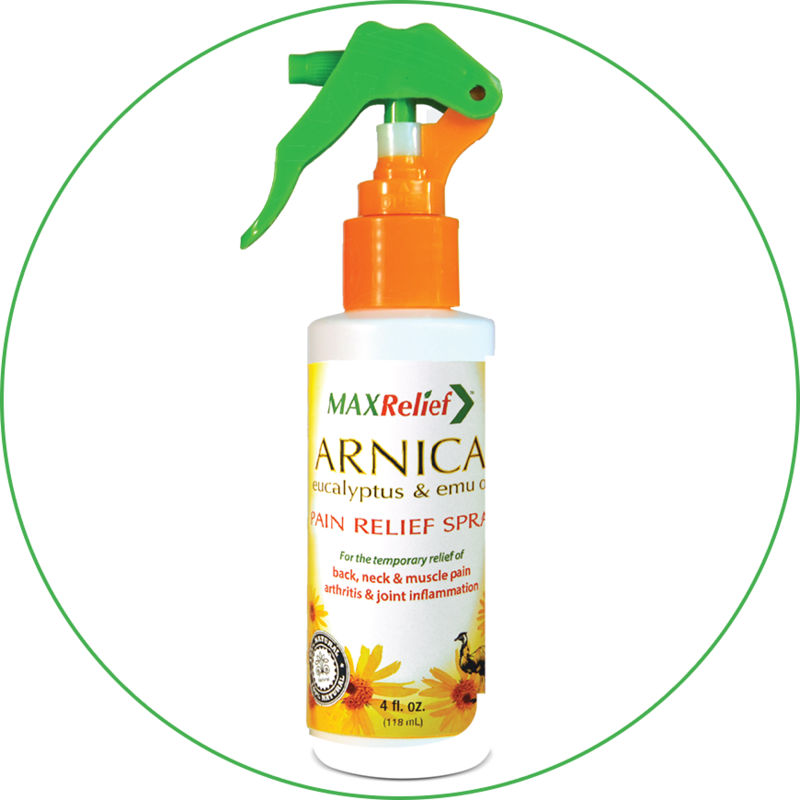 MaxRelief Pain Relief Spray topically soothes many kinds of pain, including overworked muscles, arthritic or stiff joints and bruised areas. Whether a condition like arthritis is causing your pain, or you’ve worked too hard and your muscles are sore, this all-natural spray is the answer to easing the ache. Adults and children 2 years of age or older, liberally apply to the area surrounding the sore muscles and joints. Gently rub in and reapply after 30 seconds. For optimum results, repeat 4 times daily for 3 to 5 days. MaxRelief is an all-natural pain relieving formula that uniquely combines the anti-inflammatory properties of arnica with the regenerative abilities of emu oil. Add the warming relief of camphor and the circulatory benefits of rosemary and eucalyptus for unbeatable pain relief.